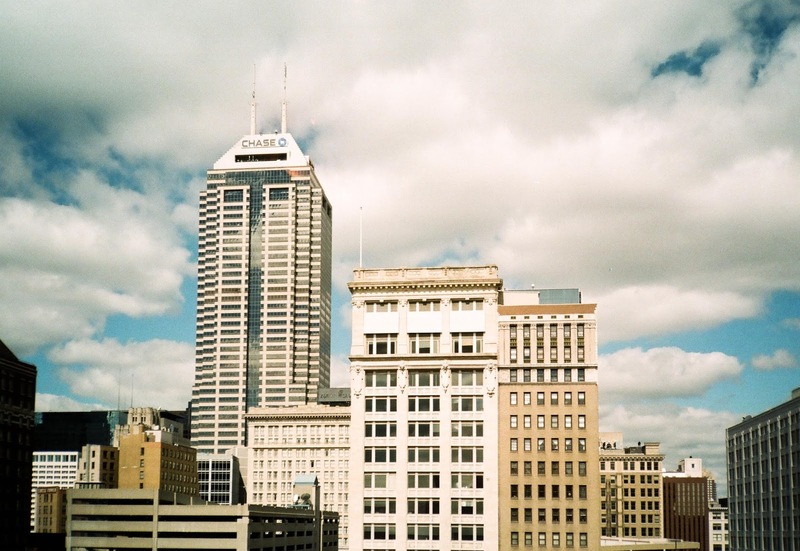 Photo in downtown Indianapolis from the 7th floor of a building. Photographed with my Olympus XA point & shoot. I wrote a blog post on this camera earlier. Very simple to use and very pocketable. Using a roll of Fujicolor 200. Bright but overcast day.